When is the studying, the interpretation of an art ever done, finished. I most certainly hope not anytime soon. I am learning and teaching Wing Tsun Kung Fu now since 1984 and it never get’s dull. So, keep discovering new aspects of your martial ART, keep interpreting the old Kung Fu forms, strategies and tactics, handed down over the centuries. Let it never end. Let’s share our knowledge and skills. All the best to our members of the trainer team, who have reached the 12th Student Grade and begin to pursue their Technician Grade training. As I have said very often, it is for me (and for your progress) far more important how someone trains, if someone shows the effort, as opposed to possibly missing or forgetting a technique/drill/exercise here or there. A promotion is often the best motivation to step up to the next level of commitment, to take one's hobby more serious than before, to work harder for more satisfying benefits. Often does the advancing into the next program produce a better inside view, lets us "suddenly" better understand previous programs, which in the end jumpstart's our progress, yields positive results, as opposed to remaining in the "old" program. 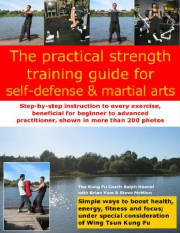 The programs are guidelines, not cast in stone, they are all pieces of a big puzzle, that will one day fit together and have produced a skill and knowledge of the complexity of self-defense, an understanding of the Wing Tsun system, the satisfaction of a successful hobby, a greater awareness of your body, your surroundings, improved health. Let’s train and learn with each other! It was a pleasure to greet about 30 members of our school, the first Canadian Wing Tsun branch, for the opening evening of the fall seminar. Beginning with selected segments of the Siu-Nim-Tau and Cham-Kiu form, chain punching in intervals, the focus of the evening was set on improving striking power. The aggressive use of punching techniques characterizes this specific system of Chinese boxing. The partner exercises, which dominated the evening, put the spotlight on important elements of balance, distance, and timing as well as the imperative coordination of hand and foot work. The repeated execution of the ‘falling step’ helped to visualize the necessity of exploding punches in the Wing Tsun system’s favourite distance, the close range. As supportive tools rubber knifes and yawaras were used, to implement details of different striking techniques. Everybody was fully concentrated, the windows and mirrors started to fog up early on. Every seminar features a unique set of special exercises to greatly improve your skills and knowledge of the Wing Tsun system. For returning members the seminar is a great time to take charge and let the event be a point in time to redefine motivation and training goals for months to come! 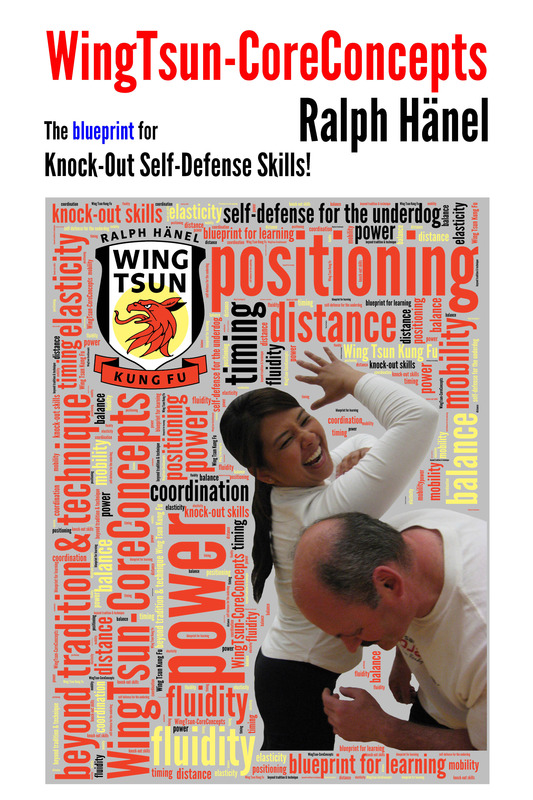 For members who have just joined our classes, it’s a fabulous opportunity to get a condensed inside view in what to expect from this unique self-defense system. Some of you take usually only private lessons, others can make it to group classes only once in a while. The special topic seminar is a chance to learn new workout routines, discover possible problem situations while working with different partners. At this point I would like to express a big Thank You! to all of you, who go to great lengths to arrange your work and family schedule, to make it to the seminars. I know it is sometimes not easy and appreciate it even more, since it shows your dedication to your hobby, your respect for your fellow class mates, your willingness to learn. See you Wednesday night for the main event! Good luck to all members to have signed up for their respective grading tests. Lance Armstrong: " Pain is temporary, quitting is forever." Dharm Makwana of 24Hours News (vancouver.24hrs.ca) wrote today about the infamous famous Grouse Grind: "Only in Vancouver would a 2.9-km sprint up a mountain be considered a rite of passage. It's hard, but I keep on thinking of the quote from Lance Armstrong, 'Pain is temporary, quitting is forever,' ... then the finish line can't be that far away," he said." 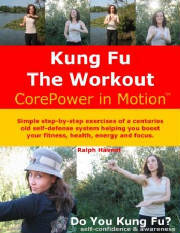 Does this remind you of the at times exhausting form training in our classes at Wing Tsun Kung Fu Vancouver? In our classes I often talk about the fact, that a Wing Tsun Kung Fu practitioner should not just be able to inflict pain (if absolutely necessary), but also know how to avoid and prevent pain. Many of you have already made the experience, how many details one is discovering while practicing the Siu-Nim-Tau form over and over again. Sometimes wrongly interpreted as a beginners-only form, is the Little-Idea-Form in our Wing Tsun Kung Fu system also seen as a form of the master. There are more than 430 muscles in the human body, which allow an enormous potential in the range of motion, and even more importantly the development of power. There is no part in our body without function. But it is a sad fact, that many people nowadays perform only a fraction of the movements our body is able to do, which leads eventually to a decrease in functionality and usability. These are just a few points about the value, meaning and contents of this extraordinary form. There is a old Chinese saying in Wing Tsun: "Siu-Nim-Tau bad = Kung Fu bad"; which sometimes takes years to understand. Why? You know best. ;-) How often you train the form?! How intense and focused do you train?! "Pain is temporary, quitting is forever!"